An ongoing engagement with the big questions of philosophy and literature animates our discussions of literary works. What is the good life? What is freedom? Equality? Justice? Love? Beauty? How do we find happiness? What is the purpose of art? What is our relationship to nature? What is the individual’s relationship to society? What are the qualities of a good leader? The English curriculum is designed to reinforce and develop a student’s ability to think, read, write, and speak. Students explore connections between literature and the human experience, learning to consider increasingly complex questions through the analysis of a great variety of texts that range from the canonical to the contemporary. 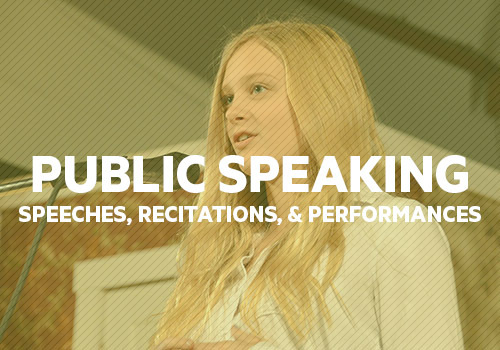 Learn more about how MSA students become confident and comfortable orators. Find out how Shakespeare helps students understand politics, love, and the human condition. Take the fear and anxiety out of writing using MSA’s in-house manual and tutoring program.